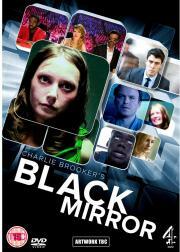 A TV series that explores modern life and it's attachment to technology in bizarre ways. W4E2P2S1V2M1A2R2. Definitely a mixed bag, but a pretty astounding set of independently great mini-films; I was shocked I had not really heard much hoopla about it when I finally dove in. Most of the episodes are better by miles than every other Netflix original movie I've watched, ever if they are sometimes a little trite. I know I should like it more because it's technically well-done, but lord is it depressing and pessimistic about the future.